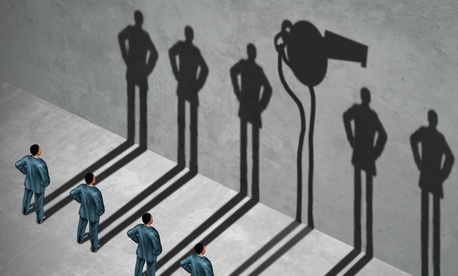 The House this week approved three bipartisan whistleblower protection bills long sought by advocates to hold accountable supervisors who retaliate against employees who report mismanagement or wrongdoing and to enhance training. On its way to President Trump’s desk is the Dr. Chris Kirkpatrick Whistleblower Protection Act (S. 585), passed by the Senate in May, aimed at beefing up agencies’ obligation to punish supervisors determined to have retaliated against whistleblowers who make protected disclosures. Kirkpatrick, a whistleblower from the VA Medical Center in Tomah, Wisconsin, took his own life after being fired for questioning excessive prescription practices at the facility. The bill named in his honor by Sen. Ron Johnson, R-Wis., would direct agencies to give priority to transfer requests of whistleblowers whose complaints have been confirmed by the Merit Systems Protection Board or the Office of Special Counsel. It would curb access to a complainant’s medical records and enhance training and public notification requirements at agencies. Finally, it would require the VA to submit a plan to prevent unauthorized access to medical records. A similar mixed reaction came from Joanna Friedman, an attorney with the Federal Practice Group. She praised the likely “subtle impacts” of the provisions that make it easier for complainants to transfer out of what often is a hostile environment, the requirements for more training and the required public posting of protections. “But I’m skeptical of how much impact it will really have,” she told Government Executive, referring to the bill’s spelled-out disciplinary actions that must be taken against managers found to have retaliated. “In practice, the number of supervisors who end up getting the penalties has been minimal,” she said, pointing to studies showing it happens in less than 2 percent of cases. The House also cleared the All Circuit Review Act (H.R. 2229) to make permanent a pilot program allowing whistleblowers to file cases where they live or work, rather than requiring them all to file in the Washington D.C.-based Federal Court of Appeals. Sponsored by Reps. Blake Farenthold, R-Texas, and Elijah Cummings, D-Md., it would also give the Office of Personnel Management authority to file petitions in any court of appeals with jurisdiction to review orders of the Merit Systems Protection Board. The House on Wednesday also passed H.R. 2196 by Steve Russell, R-Okla. It would expand the list of individuals to whom a whistleblower may disclose information evidencing a violation of law, gross mismanagement, waste of funds, abuse of authority, or danger to public health or safety to include such whistleblower's immediate supervisor or agency head, the Director of National Intelligence, the inspector general of the Intelligence Community, or an employee designated to receive such disclosures. Both the Farenthold and Russell bills await Senate action. The week’s spotlight on whistleblowing included the release of a Government Accountability Office report that gave a mixed review of efforts to improve the thoroughness and timeliness of the intake process for whistleblower retaliation disclosures by the Defense Department Office of Inspector General. The Pentagon watchdog “did not meet statutory or internal timeliness goals for more than 83 percent of the Department of Defense civilian and contractor employee whistleblower reprisal investigations it closed in fiscal years 2013 through 2015,” GAO found. The IG was credited for taking steps to improve timeliness and shortening the length of time for investigations by 20 percent. But it fell short, for example, of meeting its goal of an average of 240 days for investigations of Defense-appropriated fund and non-appropriated fund civilians, which instead in fiscal 2015 averaged 608 and 402 days, respectively. The IG has requested larger hiring budgets, “but it has yet to determine the feasibility of collecting key workload data such as labor hours that would enable it to strengthen its assessment of personnel requirements and allocate personnel in the most efficient manner,” GAO said. Finally, the Pentagon’s IG continues its oversight of whistleblower reprisal cases provided by other Defense community watchdogs, but neither have “fully addressed requirements related to DODIG’s oversight of component cases, and there is not a process to do so,” the auditors said. GAO made seven recommendations for improving collection of workload data, documenting threats to independence and developing performance measures to assess the quality and timeliness of its oversight of other IGs’ cases. The Defense IG agreed with all of the recommendations.